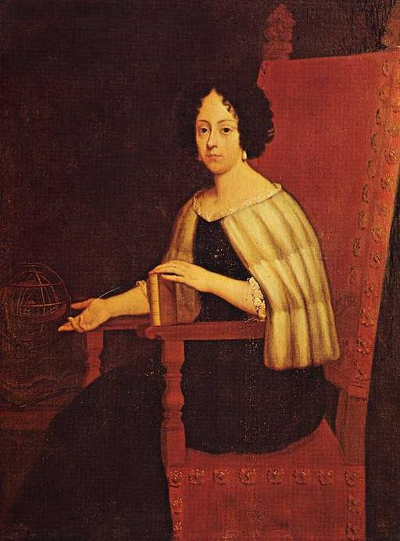 On 25 June 1678, when Elena Lucrezia Cornaro Piscopia was awarded a Doctorate in Philosophy at the University of Padua, she may have became the first woman in Italy to attain such recognition. Although she had been born out of wedlock, her father Gianbattista Cornaro Piscopia both acknowledged and supported her, overseeing her education to the extent that she developed as a renowned musician and enabling her tuition in mathematics and astrology, as well as a plethora of different languages including Latin, Greek, Arabic, English, French, and Hebrew. In an attempt to pursue her studies, Cornaro Piscopia entered the Benedictine order in 1665 as an oblate. With the encouragement of her tutors, and with the blessing of her father (who had been appointed Procurator of St Mark’s, Venice), she applied for her doctoral examination in theology at the University of Padua. Women were not permitted to study theology, however, and Cornaro Piscopia was admitted as a student of philosophy. Following the award of her doctorate, she continued with her studies, and she continued also with her charitable works. She published just once during her lifetime, a translation the dialogue by the fifteenth-century Cartusian monk Johann Landsperger, Lettera, overo colloquio di Cristo nostro redentore, all’anima devota (1669) and she was elected to a number of prestigious Italian academies. She died in Padua on 26 July 1684. Cornaro Piscopia’s correspondence offers an invaluable insight into the network of a female scholar in the seventeenth century. As far as is known from the letters to be traced thus far, her correspondents were predominantly male. She wrote to political figures within the Republic of Venice and to international powers; she conducted epistolary exchanges with scholars and with members of illustrious academies. To celebrate the victory of the Christian Coalition at the Battle of Vienna (1683) Cornaro Piscopia expressed her greetings to the Pope Innocent XI, to John III Sobieski, to the Emperor Leopold I, and to Charles V of Lorraine, and in return she received replies from the pontiff and from the king of Poland. She exchanged letters also with a number of French noblemen at the Sorbonne, all of whom were requested specifically by Louis XIV to correspond with her. Besides her epistolary discussions with Venetian men of letters, Cornaro Piscopia wrote with great regularity to her most significant advocates and supporters, in particular her primary preceptor Carlo Rinaldini, the professor of philosophy at Padua, and to her father. It is unfortunate that only a few letters from this more personal correspondence survive. Conversely, the surviving letters exchanged with politicians and men of power illustrate Cornaro Piscopia’s ability to legitimate herself not only as a female scholar but also within the public sphere. The metadata contained in this inventory of correspondence have been compiled by Francesco Zambonin, a student from the Galileian School and the University of Padua, who visited EMLO at the University of Oxford on a month-long exchange in June 2018. This exchange was the result of a meeting held at Padua in November 2017 between academic representatives of the two universities. The Bodleian Libraries at the University of Oxford and the Centro per la Storia dell’Università di Padova at the University of Padua have provided the sources used in the course of the work on this catalogue. Benedetto Bacchini, Helenae Lucretiae (Quae & Scolasticae) Corneliae Piscopiae … Opera quae quidem haberi potuerunt (Parma: Ippolito Rosati, 1688). Cristoforo Ivanovich, Minerva al tavolino (Padua, 1688). Carlo Rinaldini, Commercium epistolicum (Padua, 1682). Following the widespread practice of the destruction of an epistolary archive upon the death of its creator, Elena Lucrezia Cornaro Piscopia instructed her maid and family to destroy the letters she had retained in her possession. A part of her correspondence was preserved in the archives of her correspondents, however. Metadata describing 51 surviving letters, of which 35 are written by Elena, have been reassembled thus far. This listing includes letters that date between the 1670 and 1684, although it has not been possible to date precisely each item in the inventory. While the majority of the correspondence is written in the Italian in use within the seventeenth-century Republic of Venice, a score of the surviving letters are written in Latin and a number contain Hebrew and Ancient Greek quotations. To date, it has been possible to trace the original manuscript — and the corresponding repository — of just five letters, but work on this catalogue is ongoing. Further research will take a careful look at a number of sources, including Carlo Rinaldini’s Commercium epistolicum, to garner fresh data. The generation of both transcriptions and translations will be conducted in a subsequent phase. Patrizia Bettella, ‘Women and the Academies in Seventeenth-Century Italy: Elena Lucrezia Cornaro Piscopia’s Role in Literary Academies’, Italian Culture, 36:2 (2018), pp. 100–19. Nicola Fusco, Elena Lucrezia Cornaro Piscopia: 1646–1684, U. S. Comm. for the E. L. Cornaro Piscopia Tercentenary (Pittsburgh, 1975). Lisa Kaborycha, A Corresponding Renaissance: Letters Written by Italian Women, 1375–1650 (New York, 2016). Francesco L. Maschietto, Elena Lucrezia Cornaro Piscopia, 1646–1684 : Prima Donna Laureata Nel Mondo (Padua, 1978). Clelia Pighetti, Il vuoto e la quiete. Scienza e mistica nel ‘600: Elena Cornaro e Carlo Rinaldini (Milano, 2005). Pietro Revoltella, Lettere di Elena Lucrezia Cornaro Piscopia a Sertorio Orsato (Padua, 1986). Pietro Revoltella, Tre lettere di Elena Lucrezia Cornaro Piscopia a Nicolo Venier (Padua, 1987).